Handbags + Handguns: If Elvis were alive, he'd be wearing a life jacket. he'd be wearing a life jacket. 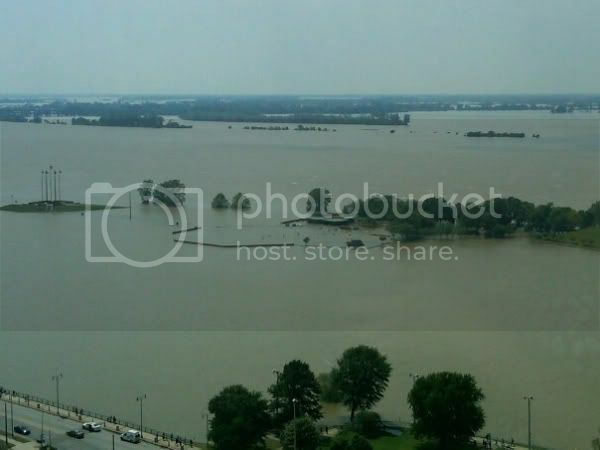 Many of you have reached out to me via Twitter and email about the flooding in Memphis. Thank you. It always amazes me when my city makes the national news. In recent days, we’ve been featured on NBC Nightly News, CNN and NPR. Tonight, Diane Sawyer will be here. Look, Ma. We're famous. I’m sure many of you are seeing coverage of the flooding where you live. Thankfully, we’re out of imminent danger and most of our family and friends are as well. One week ago, major flooding was expected near my home and work. Both the Wolf and Loosahatchie Rivers receded below flood level, so we’re safe for now. 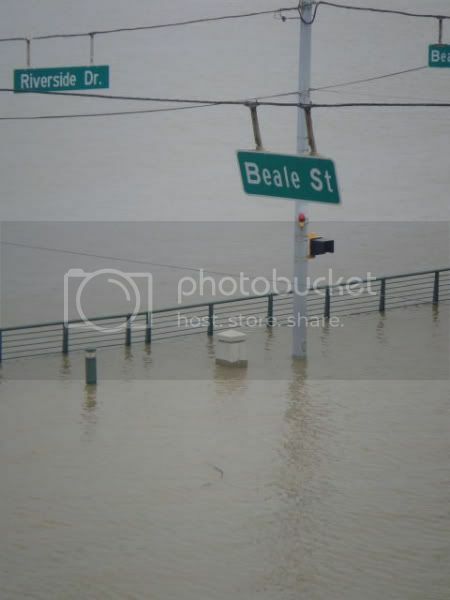 Downtown Memphis, which is the heart of the city, is facing historic flooding from the rising waters of the Mighty Mississippi. Many streets are already under water. 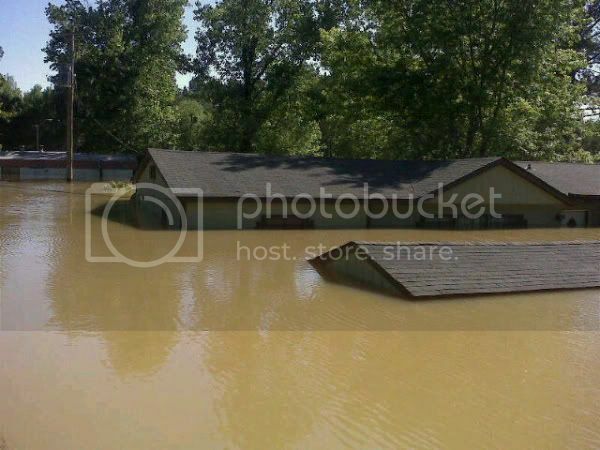 Homes are practically being washed away. The Mississippi River is expected to crest tonight. The pictures and videos I’ve seen are like something out of a bad movie. I don't think anyone can predict how bad things could get. For now, all I can do is pray for the city I've called home for 32 29 years. The devastation from the tornadoes and flooding is far worse than most can imagine. Many southern states, not just Tennessee, could use your help. If you can help, here's how. This is so horrible! It brings back memories from last year's flood in Nashville! Luckily, like your family, we were ok! But it was a scary sight to say the least! Stay safe, girl! I think about you guys every time I see the news. :( So glad you are in a dryer (for now!) spot! So glad your family is safe. All of these natural disasters are just mind boggling to me. We had a massive flood back in '94, and I was away at college. It was horrible. Stay safe! My parents were just there visiting. It is such a lovely city - so much loss. My thoughts and prayers are with all those struggling through this! That's craziness. I've talked to my sister (who bounces between Nashville and Hendersonville) and she hasn't mentioned any of this. Could she be totally oblivious? I'm saying lots of prayers for you guys. 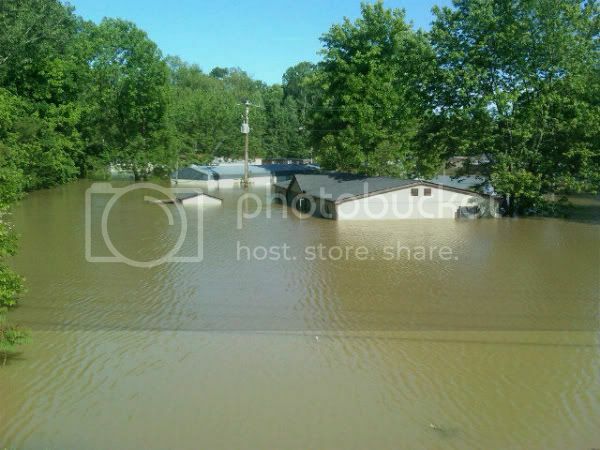 its so crazy that yall are so flooded and we are in a serious drought! 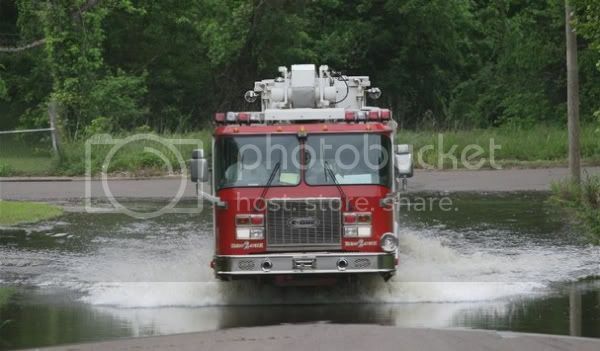 cant yall send some of that water my way?? glad you're ok! stay safe! OMG! I had no idea (cause I hate watching the news) until my wife told me about it tonight. Then I come here and see THIS! My poor Memphis. The place I was stationed during my formative years in the Navy. The times that I stubbled drunk down Beale street. All the strange that I landed at places like 616 and Illusions and The Edge. The rich kid parties we crashes at Rhoades. Prayers and thoughts with you all down there! Hang in there! Ack! That is awful. Glad to know you are doing well. But sheesh, all you Southerners need a break from this crazy weather. It's almost as though Mother Nature is letting us know that she's still in charge and we, as humans, are still pretty insignificant. Let's hope she's finished with her demonstrations. The devastation and pain unleashed is almost too much to bear. Prayers for all of you. It's crazy, I tell ya! I need to upload the pics I took! 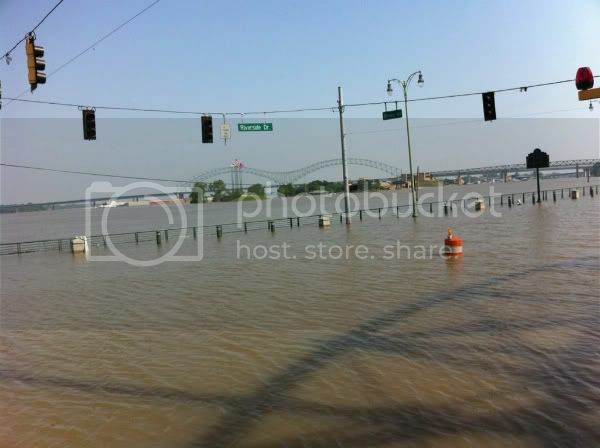 When B & I went into West Memphis on the bike the other night, I just couldn't believe all the water! So glad you and your family are ok. I didn't realize the flooding was so bad, I have been a bit unplugged from the news in the past few weeks.